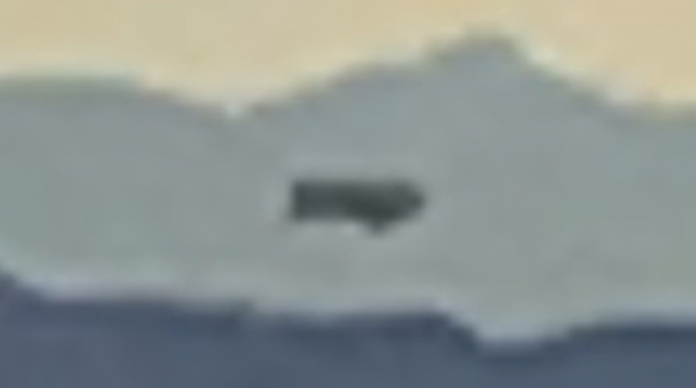 UFO SIGHTINGS DAILY: UFO Moves Over Las Vegas Hills In Daytime, Jan 9, 2016, Video, UFO Sighting News. 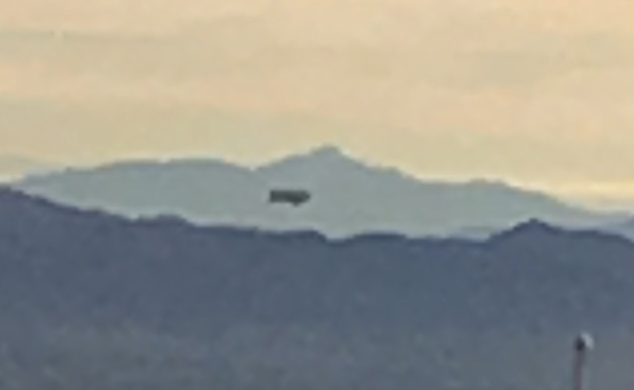 UFO Moves Over Las Vegas Hills In Daytime, Jan 9, 2016, Video, UFO Sighting News. 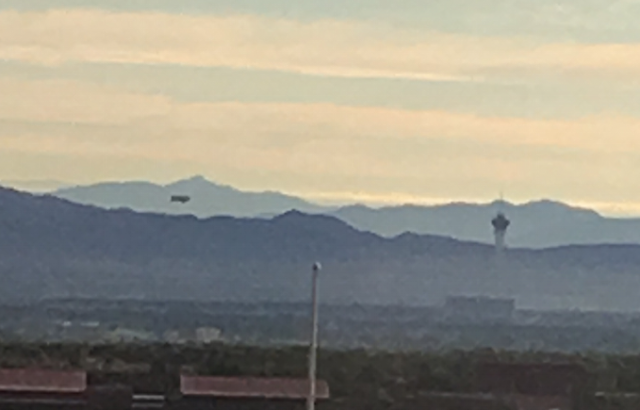 This UFO flew over Las Vegas this week and seems to have been ignored by most of the city. Its moving slowly and as a lower front section which could be a military blimp that got lose again, but it is riding the ridges of the mountains, staying a distance from the town on purpose. Hard call to make, but it does appear 100% authentic. We do however need more eyewitnesses to come forward on this one, to confirm or disprove it being an alien craft. While at a sales conference at the Red Rocks Resort I had just gotten ready for my walk to the conference center somewhere between 7:15-7:40am. Remembering I told my family I would take a photo from my hotel of the beautiful landscape and the Vegas city skyline. I opened my curtain on this sunny morning. I got my phone ready and began to scan the view for the best picture. After a quick glance I noticed a hot air balloon to the right it was a typical looking hot air balloon. I looked to the left side of my window and noticed a dark shape that seemed contrast in color and shape against the mountain chain. I looked a few moments longer and thought wow that large shape is actually moving. I starred for a few moments and came to the firm conclusion that the object was indeed moving slowly left to right from my viewpoint. After a few minutes of personal viewing I thought I might take a video cause no one will believe me. So I began to take video and a short time into it the video stopped and a message of lack of storage came up. I thought to myself- I should have bought the 32GB phone. Any way, I took a few moments to clear up some storage glancing up to make sure the craft was still there, and it was still moving almost hovering as it had been doing. I cleared the necessary memory and began to take a picture and video again. I wondered what it could be moving so slow it didn't look like any blimps I have seen at sporting events. It was moving too slow for conventional aircraft, it seemed large for a drone. At one point I quickly pan to the right to see the hot air balloon I had seen earlier to give some perspective. In addition, you can see cars driving underneath. while the first video is a bit shaky I made sure to lean on the window support to try to steady the video. After about four minutes I stopped recording because I had get my rear downstairs to work my booth at our convention. Honestly I do not know what it is which is why I have submitted it to you. I would be interested to hear what the locals or experts have to say about its identity. Summary, seemingly large craft dark in color, moving left to right somewhat steady buy very slow almost hovering. Traveling toward Las Vegas.